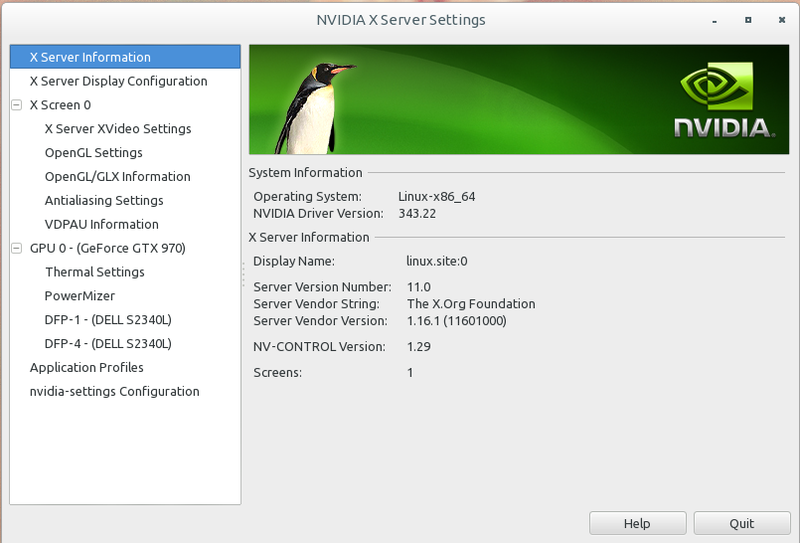 For this we will download the driver from Nvidia site instead of adding any repo(to be honest installation from repo is pain in the neck as i tried it). Also not the latest driver support for GTX 970 / 80 series is available yet if one go with the repo method, atleast it was not for me when i tried it. By default the system will be using the open source driver nouveau when you login to your system. Now we need to drop to tty via Ctrl+Alt+F1(2,3 …). But before that we need to make sure that we are not presented with a blank screen. Add nomodeset to the bootable kernel line. Switch to tty mode, login as root and cd to the directory where the downloaded driver is. Change the name to the correct file name above. The installation process is easy and self explanatory. After installation of the driver type reboot to restart the system.